If you're currently going through breast cancer treatment, you’re not alone. Although cancer rates have been gradually decreasing since the year 2000, 2017 was still estimated to have about 252,710 new cases in women and 2,470 in men. Being diagnosed with cancer or other critical illnesses can be overwhelming. Not to mention the difficulties of navigating chemo therapy and the possible side-effects, like hair loss, mood swings, and fatigue. But keep your chin up, because the odds are in your favor. Every day, women just like you are beating their breast cancer. In fact, the average 5 year survival rate for cancer is presently at 90%, and 99% for breast cancer. No matter your circumstances, you deserve to feel strong and beautiful. Hair loss from chemo therapy doesn’t have to stop you from looking and feeling confident. 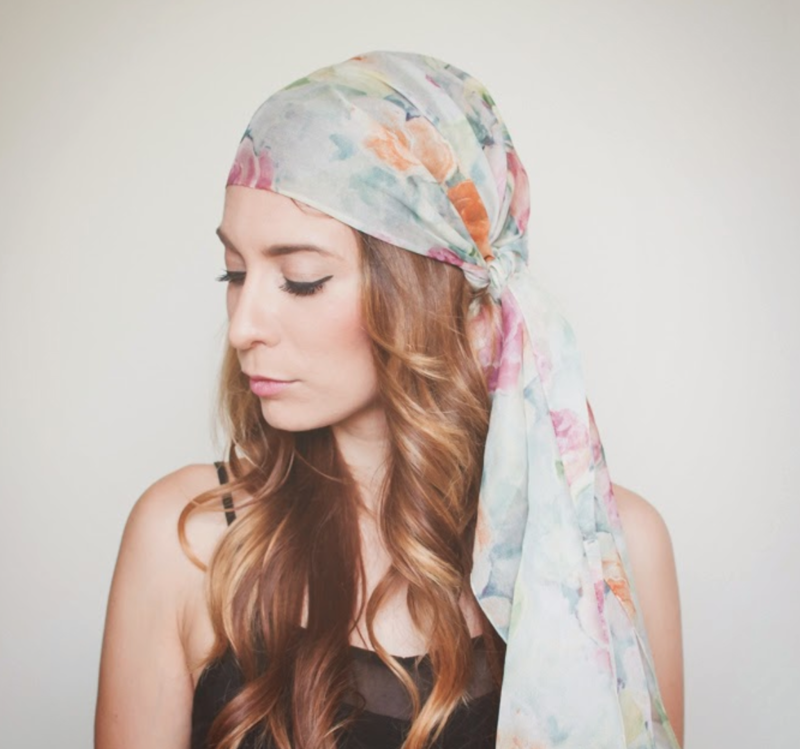 Headscarves can be a fashionable and trendy way to strut your style while you navigate your way through your treatment. 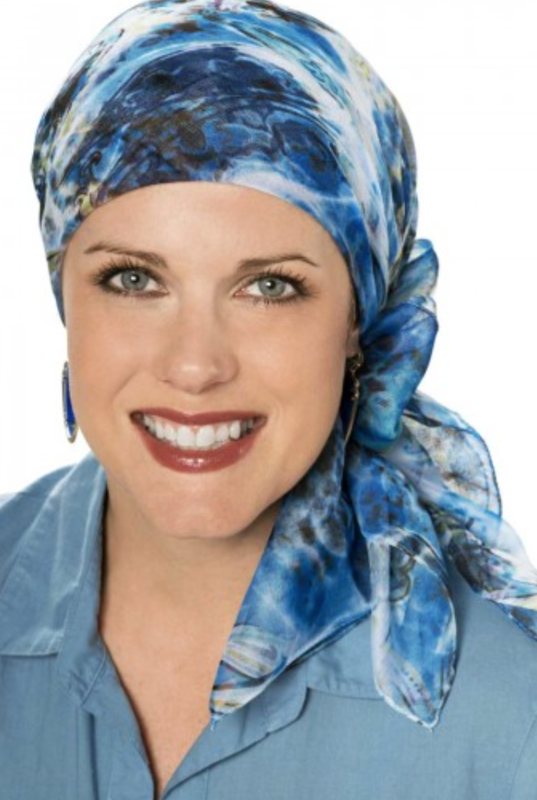 That’s why we’ve rounded up 5 creative, fashionable ways you can tie a head scarf while undergoing chemotherapy. This fun and flattering tie requires long rectangular scarf. It goes well with almost anything, and makes for a nice way to dress up a flowy shrug or comfy sweater. Bring the 2 sides around the front to meet again at the front of your head, and twist them together to the ends. Feel free to experiment with where you tuck your twist for some added creativity. Channel your inner Audrey Hepburn with this timeless classic. This look typically works best with a square shaped scarf. Plus, it doubles as sun protection during the warmer months. Wear it with a cute Jackie O inspired vintage dress or outfit to complete the look and get the child like joy of playing a little dress up. This tie requires a thin, narrow scarf, which means low coverage. 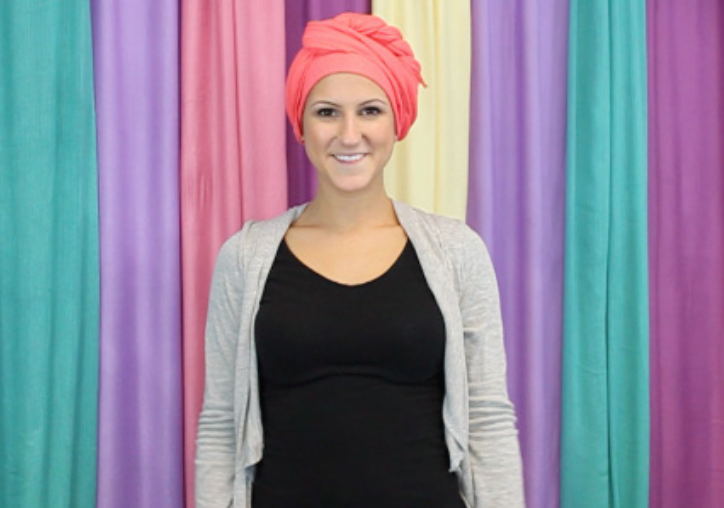 It makes for a great wrap when you want to let your head breathe a bit in those warm summer months. The Rosette is a common go-to for cancer patients and fashionistas everywhere, thanks to its easy process and versatile look. Not to mention it only takes 1 minute! How’s that for efficiency? Feeling an extra lag today? This look goes great with any of your outfits. Toss on a t-shirt and jeans and you’re done! Are you a hippie at heart? Then this fun and flirty Bohemian look is the one for you! Wear it during any season with a comfy, flowy dress or skirt. Don’t be afraid to mix patterns a bit with this look. Pro-tip: If you don’t like the bow, let the ends fall loosely to the side for a more casual look.